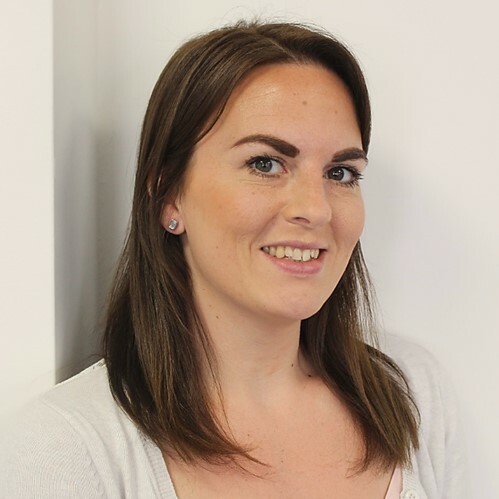 With over eleven years of legal costs experience, Jessica brings an extensive background in Clinical Negligence, Commercial Litigation and Personal Injury claims to her role as Senior Costs Draftsman/Team Leader at MRN. After graduating from Leeds University with an LLB Law Degree (Hons), Jessica worked as a Paralegal for 18 months at a Criminal Defence firm before transitioning into the world of legal costs. She worked as a Supervisor at another costs firm prior to moving to Team Leader at MRN in 2007. Jessica specialises in the preparation of Bills of Costs and Points of Dispute for high value and complex matters of Clinical Negligence, Personal Injury and Commercial Litigation. The variety of intricacies and challenges that are presented in her caseload drives Jessica’s passion and interest in legal costs as each day is different to the last. Her ambitious and amicable personality suits the nature and requirements of the work as she has the technical knowledge and skill to consistently achieve outstanding results, as well as the ability to form sincere and trusting professional relationships with her clients. With an extensive background in costs, it is evident that Jessica has worked on a wealth of significant matters, including a Bill of Costs in excess of £620,000 in an unusual claim where a young boy suffered 32% burns by electrocution when his fishing rod made contact with an electricity line and recovered damages of over £4.1 million. One of her proudest accomplishments was when she successfully overcame a technical challenge at the SCCO in regards to the enforceability of a client’s CFA under the old and complex CFA Regulations 2000. Jessica’s skill and expertise in costs is unfathomable, as not only does her role require the completion of her own caseload, but also the responsibility of examining her team’s work for quality assurance and providing guidance to help develop their professional careers. Jessica takes pride in her work, with all narratives and quantum advice being of substantial detail as she understands there is a lot at stake with high value matters. By placing herself in her client’s shoes, she is able to understand the effort they have put in to achieve a win for their own client and is highly motivated to achieve significant results that reflect and reward that time. If necessary, Jessica will follow her cases through to the Hearing stage. Being in an advocacy position has expanded her perspective and encouraged her to think in practical terms of what a judge would truly approve in an effort to produce more accurate work. Beyond MRN, Jessica enjoys spending quality time with her friends and family, travelling and enjoying the odd cocktail!